The churches of Western Iowa have been given an opportunity to be instrumental in providing care for children who, through no fault of their own, are in the Foster Care system. 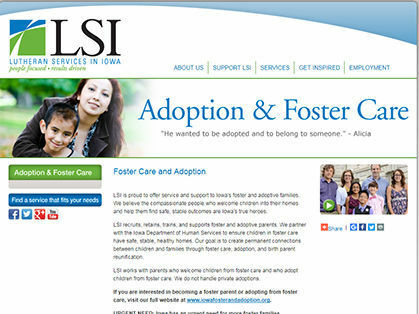 Lutheran Services in Iowa (LSI) has the contract to service the needs of little ones in Western Iowa, so we, as followers of Christ and partners with LSI, are now called on to support this ministry. Almost one thousand children were placed in homes last year. Foster Parent Support Groups, Backpacks and school supplies, Transportation to appointments, Fleece Blankets (there will be an opportunity to make these at the synod assembly), clothing for a wide range of children, placement support, Mentor for Foster Child, Letting the children know that they are loved and cared for, Training locations for foster process and support meetings, Car seats, and prayers. 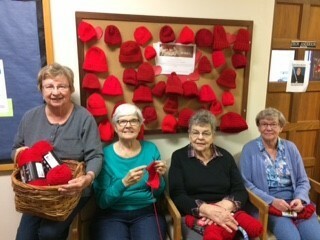 The Prayer Shawl Ministry group and others at Immanuel Lutheran Church, Forest City, Iowa, made over 40 red newborn hats to raise awareness of newborn congenital heart defects. These red hats will be sent to the American Red Cross in Des Moines, Iowa where they will be washed and given out at participating hospitals. Knitters shown with their collection of baby hats from left to right: Marlene Faircloth, Joan Hansen, Rogene Westerberg, and Alice Jones. The Zion Endowed Benevolence Team of Zion Lutheran Church, Gowrie, is soliciting grant applications for 2018. The purpose of the Endowed Benevolence Program is to extend and enrich the kingdom of God by witnessing in word and deed to people in need both directly and through organized efforts or organizations, especially those not having their own planned giving programs. This program is not intended to provide support for capital expenditures. The focus of the program is on providing support for programs that directly touch the lives of those in need. $26,500 will be granted to individuals in need and/or organizations that assure that grants will be used in accordance with the Zion Endowed Benevolence Program guidelines. 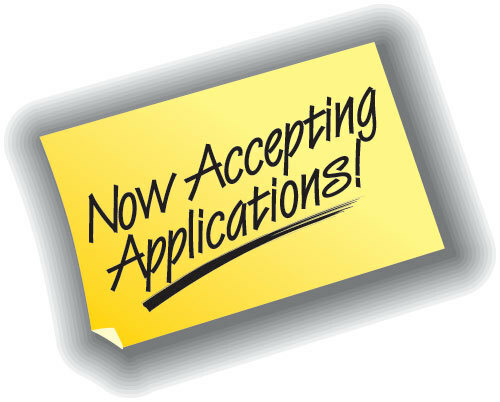 Applications are welcome from any purpose, ministry expression or benevolence program which is truly consistent with the purpose of the Zion Endowed Benevolence Program. Applications must be received by April 16. Grant awards will be announced April 22. Grants are approved on a year-to-year basis and are not automatically renewable. Multi-year requests are not considered. It's that time of year again!! The Western Iowa Synod Endowment Committee is ready to accept grant applications for 2018. The grants are designed to support grass root programs and projects which need an assist to birth an idea for community based ministry or help sustain current ones. The grants can range from $100 to $2,000. Hands on participation by the applicant congregation is important. No large agencies need apply. Application Available here! The Rev. John Syvertson, Chaplain of the St. Luke Homes & Services campus in Spencer, has earned a credential which stands to benefit the residents, tenants, homeowners, families and staff he serves as well as the region’s faith community at large. 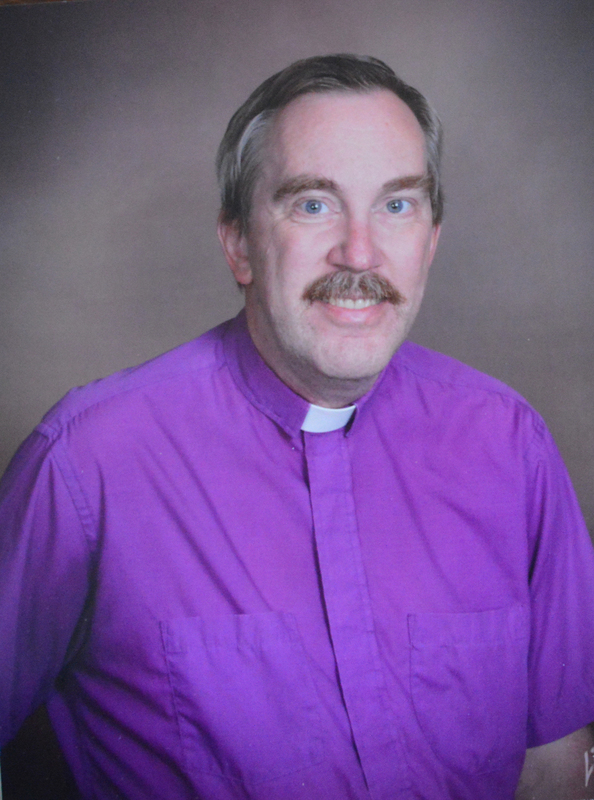 Syvertson was recently named a board-certified chaplain with the Association of Professional Chaplains. Full article here! 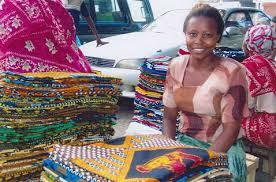 One of the most effective ways to help Tanzanian families improve their lives has just gotten better. The Western Iowa Synod recently received two grants that will match gifts made to support the creation of new community-based micro-financing groups in southern Tanzania. For every $2 contributed another $1 will be added. 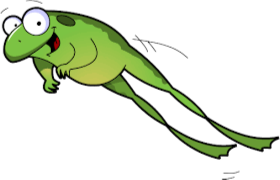 A total of $15,000 in matching funds is available! Faith Lutheran Church in Odebolt has given $5000 in matching funds for SACCOS. The remaining match comes from an anonymous congregant with long-time service to the Center for Agricultural Development and the SACCOS (Savings And Credit Co-Operative Societies) project. 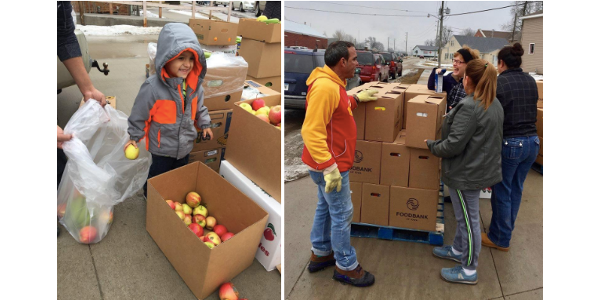 “SACCO membership, as a form of microfinance, is an avenue to hope for those with limited economic opportunity,” says Western Iowa Synod Bishop Rodger Prois. “All across the developing world, and now in the Southern Diocese of the Evangelical Lutheran Church in Tanzania, access to credit...read more here! St Paul Lutheran in Manson has approximately 200 green LBW hymnals, 20 boxes of 10 hymnals each, available for anyone who can use them. You may contact their church office at 712-469-2197. Iowa State University Extension and Outreach-Buena Vista County, the Office of Civic Engagement-Buena Vista University, and SALUD! of Storm Lake invites all interested parties working with, supporting or interested in food insecurity issues to join individuals from Northwest Iowa to share ideas, learn about new and existing grass roots projects, program and funding opportunities, and learn about how you or your organizations can work together to spark a difference in your community. The conference will be held at Buena Vista University, 610 W. 4th Street, Storm Lake, IA 50588 on Tuesday, April 10th with registration starting at 8:00am. There is no charge to attend. 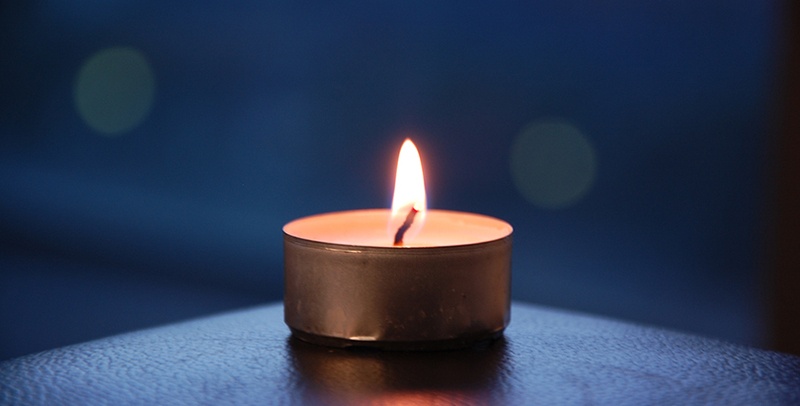 Discernment Retreat (April 30-May 1) offered by Seeking the Spirit Within. This retreat is provided to help individuals discern whether God is inviting them into the ministry of spiritual direction and whether our program is a good fit. The next cohort is scheduled to begin in August of this year. There are a total of ten times in the two year formation program that the cohort gathers face to face, so it is possible for persons living outside of Nebraska to participate. Information about our program and online registration for this retreat is available on our website, www.seekingthespiritwithin.org. Create sermon series that will have your congregation faithfully fed, grateful, and alive. Walk away with new ideas, a network of forward thinking preachers, ready-to-go adaptable sermon series, and a plan for your year. Pastors and Congregational leaders, it's time for you to Spring into action also. When? Friday, April 13th at St Mark in Storm Lake. Arrive for lunch between 11:30 - 12 and programming will begin at 12:30 pm. What are your "Dependable Strengths"? Deacon Tammy Devine will be leading us in discovering our top 5 strengths through story, identifying good experiences, and small group conversations. Cost: $10. Register Here! Flier Here! What is the Mission Team Up To? Raising Up Healthy Women and Girls…for all women and girls! Pastors, moms, confirmation students, grandmas. Save the date Saturday, April 7th for a day of learning, service and lunch! 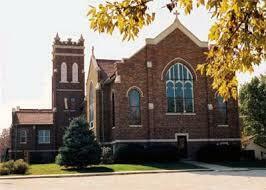 We will meet at 9:30 at St. John Lutheran Church, 2801 Jackson Street, Sioux City. 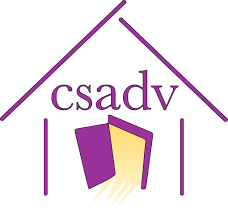 After a time together for Morning Prayer we will proceed to CSADV (Council for Sexual Assault and Domestic Violence) to see the shelter and discover the work being done in Sioux City and the surrounding area. Following our time at CSADV we will gather again for lunch and conversation. There will be a charge of $10/person for lunch. We should finish shortly after 1:00 so that you may move into the rest of your day. Please contact julie.cook@wisynod.org with your questions, or if you plan to attend. 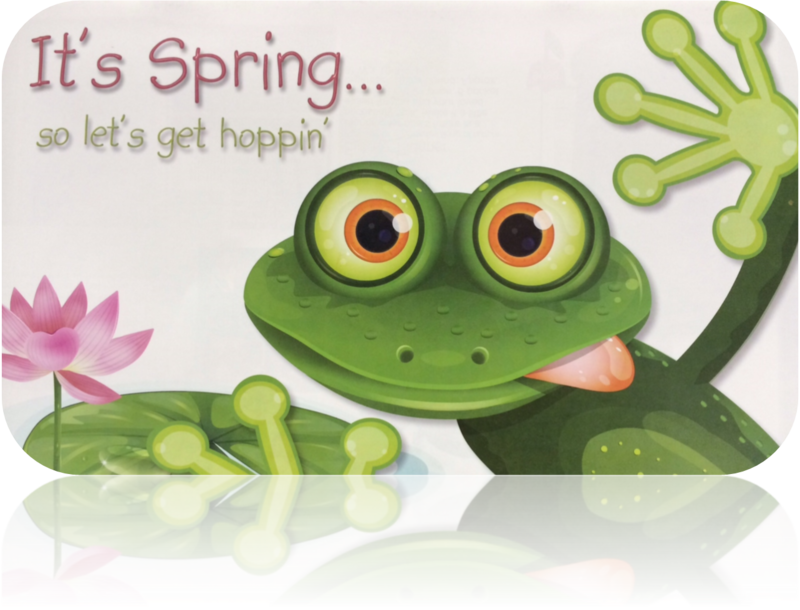 We hope that you, along with women and girls from your congregation, will join the new Western Iowa Synod Network Raising Up Healthy Women and Girls for this time together. As you plan to participate on April 7th you are encouraged to bring an item to share. The following items are always in great need at CSADV. 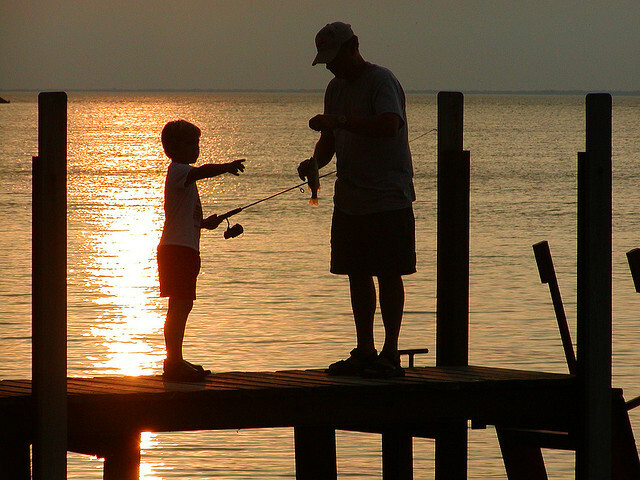 June 1-3 is a free fishing weekend for Iowa residents. Ingham Okoboji Lutheran Bible Camps, along with Lutheran Men in Mission would like to invite you to make it a great weekend with you and the kids! Fishing options from the docks at camp. We are also just north of Gull Point State Park which has great fishing spots. Fishing equipment at camp is available on a first come, first served basis. We also plan to be able to take some fishing on the camp pontoon with times and signups to be arranged. Flier with more info here! please send to Lynn by Tuesdays at noon!